For the month of November and with Thanksgiving in sight, we thought it would be best to highlight a resort designed for family, comfort and our shared American heritage. If you’re looking for a place to spend Thanksgiving with the family—with the intent of booking a room larger than a studio—then Williamsburg, Virginia, is a spectacular option. Most of the resorts in the region typically offer availability for two or three bedrooms that easily sleep eight people or more. If your family is interested in Williamsburg, then I must recommend the Marriott’s Manor Club at Ford’s Colony. 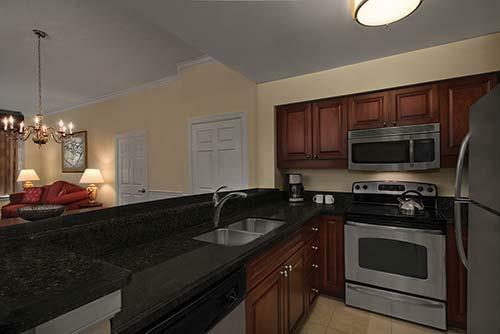 Located within Ford’s Colony, this elite Marriott property has everything you need—from a full-size kitchen to washers and dryers conveniently located in the unit. The décor is sleek and modern with a touch of southern comfort, which is fitting since the property stands on the grounds of an estate popular in the early days of American history. Onsite, you will find a marketplace to help you stock your fridge for the week and two restaurants to dine in: Harry’s Tavern and Bistro 1699, both of which feature local craft beers and wine. 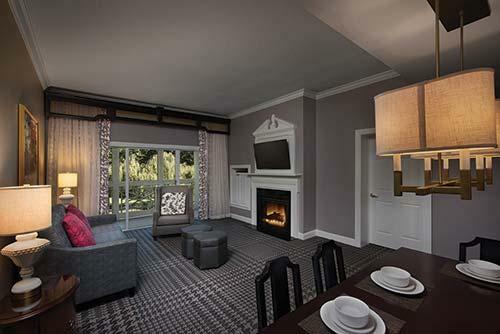 Most rooms come with a fireplace, which is certainly a nice touch to help relax you in the evening. Outside, you can find grills to use for family Thanksgiving BBQs. And while you’re outside, take note of the playgrounds for the little ones in your life. Furthermore, the property boasts an in-depth activities center with an in-house movie theater, a fitness room, a sauna, tennis courts and two outdoor pools. There is also a golf course just minutes away at the Ford’s Colony Country Club. Finally, if you’re looking to take in a bit of learning, there are tours you can join that range from Norfolk Harbor to Washington, D.C.
All in all, Williamsburg, Virginia, and specifically the Marriott’s Manor Club at Ford’s Colony, is a great place to spend time—with or without family—during the holidays.